Or rather first hair trim. The back of Laetitia's hair grows much more than the rest the hair on her head and is actually kind of long. We decided to give her hair a little trim to make it more even. This is the final result. Not too bad eh? 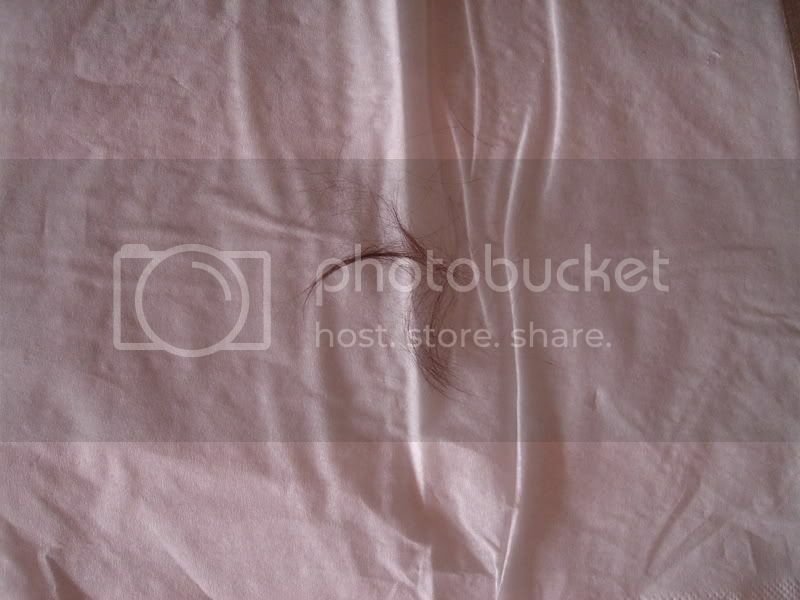 And here are some of the hairs that I had to cut off. HAPPY ONE YEAR OLD BIRTHDAY!!! The attention seeking budding musician.